Brooklyn is one of the five boroughs of New York City . It is located in the southeast of the city at the western end of Long Island and is congruent with the Kings County . Brooklyn is the most densely populated administrative district in the United States after Manhattan and New York County . Founded in 1634 by the Dutch as Breuckelen (after the town of Breukelen near Utrecht), Brooklyn was until the incorporation into New York in 1898 an independent city. The district has, however, preserved a strong autonomy until today. Why do our customers think we are the best Brooklyn Movers? 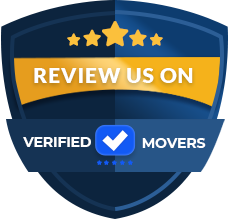 Highly trained moving service professionals — Our crew are the best Brooklyn Movers in the industry Competitively priced moves with 100% satisfaction guaranteed, Numerous awards for our ethical, professional moving practices. But, don’t take our word for it, see some reviews from some of our Brooklyn moving customers – now customers for life! Moving Checklist to Help Move Your Pet We know moving can be an overwhelming experience.